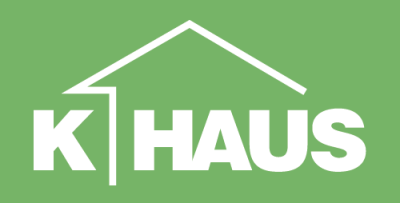 K-HAUS Ltd specialises in supplying the self-build and custom build market with competitively priced passivhaus flat pack home packages from shell finish to turnkey; designed, engineered and manufactured offsite to meet the requirements of the UK market. 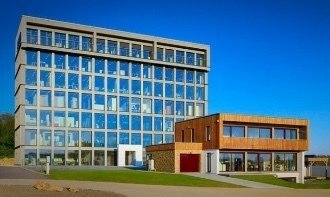 K-HAUS working in partnership with German manufacturer KAMPA GmbH offers a flexible low carbon timber-frame prefabricated system that addresses the important mix of air tightness, thermal efficiency and low energy living environment. The system directly meets the requirements previously set by the CODE for Sustainable Homes at level 4 and above, and meets Passivhaus standards. Prefabricated home (flat-pack) cost / prices from £1,250 per m2 for a shell home to circa £1,850 per m2 for a full turnkey - depending on the design, fit-out and prevailing ground conditions. Examples from our range of prefab homes to provide inspiration for your self build design. Providing more detail about the structural elements of our offsite manufacturing system. Please contact us to help you create the home of your dreams and download our Quick Guide.